BATON ROUGE — Louisiana Family Forum and LSU head coach Les Miles went “Over the Edge” for adoption last week. Their goal was to bring attention to the need to reduce red tape in the adoption process and help find permanent families for 100 Louisiana children. 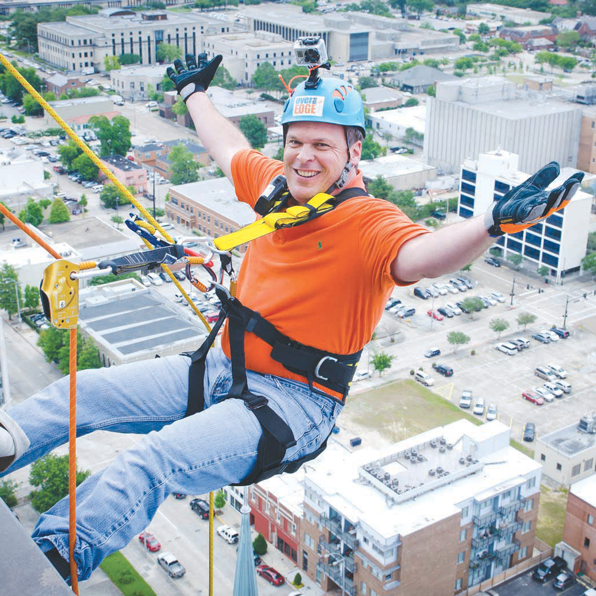 In order to get the discussion going, the pro-family group and Coach Miles organized a dream event for the news media — Coach Miles and more than 50 other celebrities and ordinary citizens rappelling off One American Place, the tallest building in downtown Baton Rouge. Participants said it was an amazing — and relatively safe — experience. For more information on what you can do to promote adoption, go to www.lafamilyforum.org.